Three compactors have been upgraded to DV Series: DV36D and DV45D tandem vibratory drum and DV45CD combination, with smooth drum in front and pneumatic tires in the rear. Drum width is 51.2 inches for the DV36D and DV45CD versions, and 54.3 inches for the DV45D. All are designed with a high curb clearance with no overhangs. Drum can be offset, and an adjustable work station enhances sight lines to the drums. Operating weights are 8,290 pounds (DV36D), 10,340 pounds (DV45D), and 9,520 pounds (DV45CD). Each has a 43.5-horsepower engine. They offer selectable dual frequencies of 2,700 or 3,420 vpm. 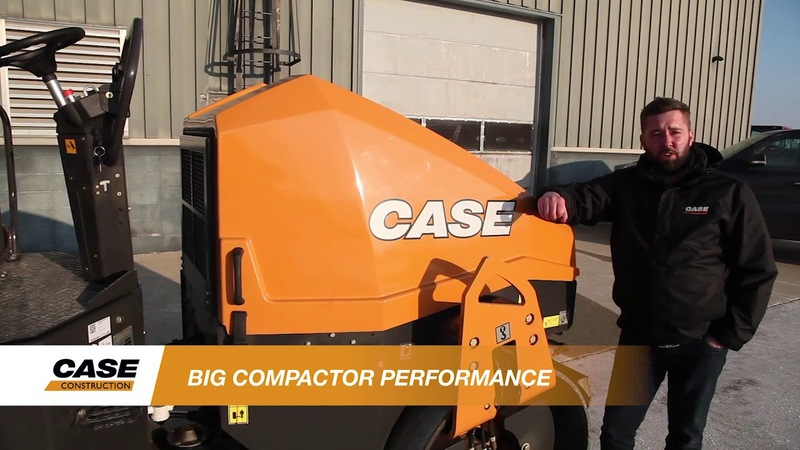 Below, watch a walk-around video produced by Case.